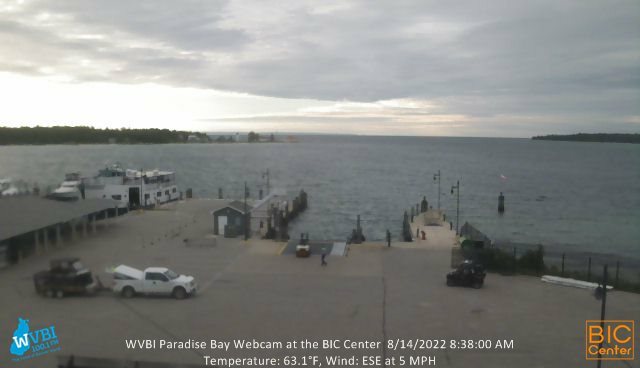 WVBI is an independent, nonprofit, community-run radio station provided as a service to the community by the Preservation Association of Beaver Island, the operators of the Beaver Island Community Center. Everyone is invited to participate by simply tuning in to enjoy our entertainment and information programming or joining us to help create it. Our programing brings you entertainment with news, current events and information features that keep you up to date. Our own Cottage Mix—a blend of music designed to appeal to everyone at your up-north home—includes pop, oldies, country, Celtic, folk, jazz and island artists. News updates cover events near and far while our current events reports keep you up to speed on island events. Thrown into the mix are feature news programs, essays from island writers, tech tips and more. But, we are just getting started. We’ll sound even better if you let us know what you’d like to hear. WVBI sounds best when it is local. We can show you how to produce your own show live or recorded in our studios or even recorded in your home, whether your home is here or far away. That’s right. You don’t even have to be on the island to add your voice to the mix. No matter where you are it’s easy and fun to bring your ideas to life right here on WVBI. We’re counting on it. As a non-profit, community radio station we depend on local supporters like you to keep the Voice of Beaver Island on the air. Please join your fellow islanders from near and far who are investing to assure the future of the best radio station on the planet.